Kyrie Irving is Pepsi’s choice of a new generation of ads. And New York Times culture reporter Sopan Deb has been on the Boston Celtics star like Brown on Williamson for weeks now. Start with this piece last month. At first glance, the movie looks like another inoffensive summer road-trip comedy. In the trailer, there are stars like Nick Kroll and Tiffany Haddish ping-ponging punch lines with Lil Rel Howery. There’s a sense of escapism along with a healthy dose of slapstick. “Uncle Drew” may be all of that. It is also the continuation of a corporate marketing campaign for a soda company. An unusual integration of branded content and film, the movie is built around the N.B.A. star Kyrie Irving and is based entirely on a series of Pepsi commercials that went viral beginning in 2012. 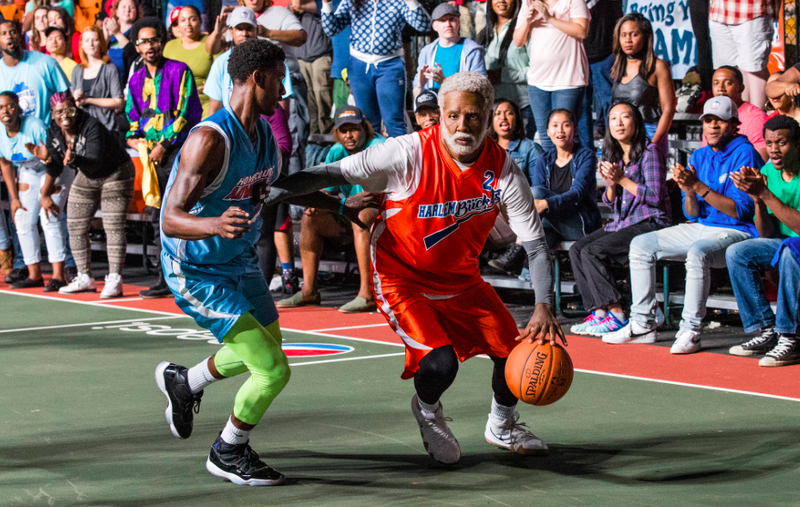 A heavily made-up Mr. Irving plays Uncle Drew, a septuagenarian driven to show up younger basketball players on the playground. He sets out to reunite with his teammates from decades ago for one more run at the Rucker Park tournament in Harlem. The question Deb asks is this: Does anyone give a damn that Irving’s Pepsi-funded mashup is an ad in sheep’s clothing? Product placement in cinema goes all the way back to Thomas Edison. According to the website Brands&Films, “[Edison] made the product placement in films into a very lucrative business. He created deals with advertisers to reduce ‘out-of-pocket production expenses while providing promotional services for customers of his industrial businesses’” [italics theirs]. Consider Edison’s deal with the Lackawanna Railroad for his 1903 film, The Great Train Robbery. In exchange for access to the railway and its trains, Edison made the heroine of the film the same actress - Marion Murray Gorsch - who played Phoebe Snow in Lackawanna’s Road of Anthracite ad campaign. Then again, we’re guessing Ms. Gorsch never gave an interview like the one Kyrie Irving gave Deb in this Times piece last week. Kyrie Irving, the point guard for the Boston Celtics, is a dazzling basketball player, one of the best in the world. On this, there is very little debate — and certainly not from me, a lifelong Celtics fan. His ability to creatively dribble the basketball is so singular that The Boston Globe found last year that video game makers had trouble duplicating it. He can handle the ball, but can he act? 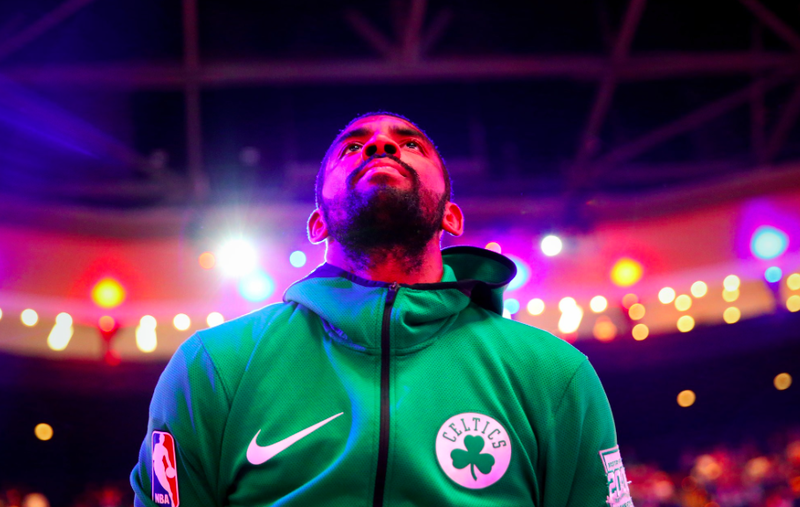 Mr. Irving is about to have a very different skill tested for a mass audience: He is the star of the coming feature film and branding vehicle, “Uncle Drew,” based on a series of viral commercials that Pepsi developed in 2012 and that Mr. Irving wrote and directed. We’ll let Deb’s Twitter feed take it from there. 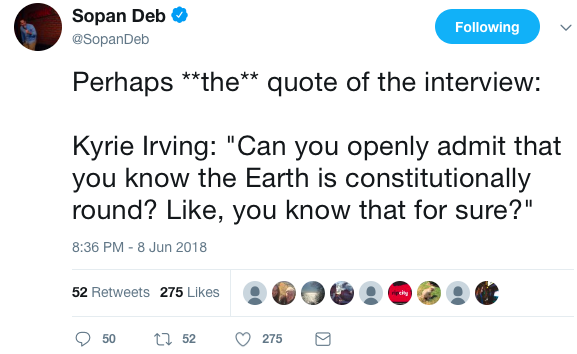 Look for the inevitable sequel – “Uncle Drew: Flat Earth, Round Ball” – coming soon to a theater near you.